RICHMOND, VA – Sports Backers today announced the exciting addition of Richard Louv, acclaimed author and co-founder of the Children and Nature Network, to the Movement Makers National Active Living Summit agenda. 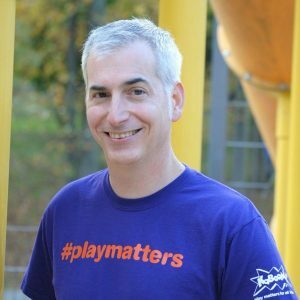 In addition, Movement Makers is honored to host James Siegal, CEO of KaBoom!, a national non-profit dedicated to increasing play opportunities for all children, at the Summit, taking place in Richmond May 17-19. Louv is a journalist and author of nine books, including ‘The Last Child In the Woods: Saving Our Children From Nature-Deficit Disorder,’ ‘The Nature Principle: Reconnecting with Life in a Virtual Age,’ and ‘Vitamin N: The Essential Guide to a Nature-Rich Life.’ He is also a co-founder and chairman emeritus of the Children and Nature Network, an organization helping build the movement to connect today’s children and future generations to the natural world. Louv served as an advisor both to the Ford Foundation’s Leadership for a Changing World award program and to the National Scientific Council on the Developing Child. He is on the board of directors of ecoAmerica, on the editorial board of Ecopsychology, and a member of the Citistates Group. 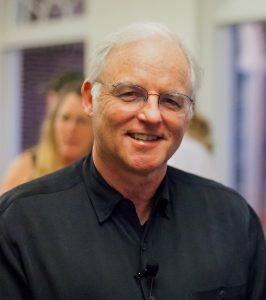 He has appeared before the Domestic Policy Council in the White House and has given keynote addresses at major governmental and professional conferences around the world, including the American Academy of Pediatrics National Conference, the Congress of the New Urbanism, and the first White House Summit on Environmental Education. Under James Siegal’s leadership, KaBoom! has become the national authority on bringing balanced and active play into the daily lives of all children across the country, particularly those growing up in underserved communities. KaBoom! recently named Richmond a Playful City USA designee and awarded the city a Play Everywhere Challenge Grant, and Siegal’s presentation will inform and inspire attendees on best practices to make physical activity a daily priority. Siegal has broad experience in the public, private, and non-profit sectors. Prior to KaBoom!, he served as Chief of Staff for the Corporation for National and Community Service, the federal agency that supports citizen engagement to address community challenges through AmeriCorps, the Social Innovation Fund, and numerous other programs. Movement Makers: The National Active Living Summit provides individuals and organizations an opportunity to learn how to encourage and support physical activity initiatives in their communities. Movement Makers will address all sectors involved in promoting physical activity to positively impact the health of local communities. Participants will engage in strategies for creating options for physical activity in schools, workplaces, and communities. Individual health, community health, and economic health will come together at Movement Makers to create more active communities across the nation. The Movement Makers summit brings together experts and leaders from a variety of fields, including bike/pedestrian infrastructure, health equity, workplace wellness, public health, and obesity prevention. With nationally-recognized keynote speakers, special breakout sessions, activity tours, and how-to demonstrations, Movement Makers supports active living practitioners as they learn how to encourage community health through physical activity. Movement Makers takes place in the lead up to Dominion Riverrock. Organized by Venture Richmond and Sports Backers, Dominion Riverrock is the nation’s largest outdoor sports and music festival, bringing athletes, spectators, musicians, and even dogs to Brown’s Island for a three-day festival against the backdrop of downtown Richmond’s urban riverfront. The festival features a variety of outdoor sports including trail running, kayaking, biking, bouldering, slacklining, stand up paddleboarding, and dog jumping. Registration for the summit is available now at www.movementmakers.com.